The Green Eyed Afghan Refugee Girl is one of the most iconic and most recognized portrait in the history of Photography. The Afghan Girl was photographed by legendary photographer Steve McCurry for National Geographic magazine’s cover in 1984. 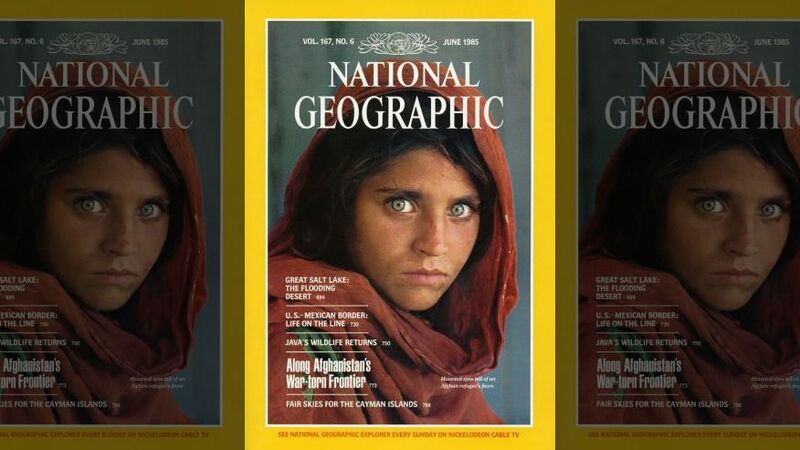 Afghan Girl from Iconic NatGeo Cover Arrested in Pakistan. She has been arrested in Pakistan for living with false documents. Her real name is Sharbat Gula, now married and is in her forties. She was just 12 when photographed by Steve McCurry at Nasir Bagh refugee camp, close to the Afghan border. If convicted, she could face upto 14 years in prison and upto $5000 fine. Sharbat Gula is just one of many Afghans to be caught up in the ongoing effort to persuade refugees to go home. “I got word from a friend in Peshawar, Pakistan, that Sharbat Gula has been arrested. We are doing everything we can to get the facts by contacting our colleagues and friends in the area. I am committed to doing anything and everything possible to provide legal and financial support for her and her family. We are keeping an eye on the developing story and will add more information as we get it. Sharbat Gula has been the symbol of refugees for decades. Now she has become the face of unwanted migrants. The officials in Peshawar, Pakistan, have denied bail for Sharbat. As a widow, she has endeavored to raise her four children alone. She represents all brave women and men who will endure any pain and hardship to protect the most precious thing they have – their children. We will continue to do everything and anything we can to secure Sharbat’s release. UPDATE: Steve McCurry announced this on Instagram: @stevemccurryofficial – “With utmost delight, I announce that Sharbat Gula is now free from the legal troubles she endured over the past couple of weeks. She soon will also be free from an uncertain life of a refugee as she will be on her way back to her own country as soon as next Monday where she still is a beloved image and a national icon. She will be met by President Ashraf Ghani upon her arrival to welcome her back home and help her with her resettlement.